There will always be someone else to blame. 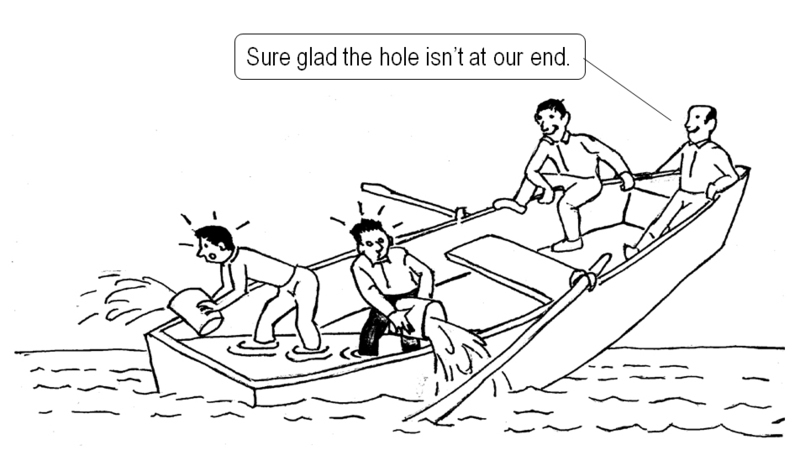 We can always find another sucker or group of suckers to make responsible for our problems. The world is full of excuses and reasons as to why nothing is our own fault. It is this lack of personal responsibility that leaves a lot to be desired in the human experience. When we fail to own the world we live in and realize that it is our responsibility to make it a better place, we allow for chance and chaos to rule the day. The drug war and the evils of prohibition policies are none of our “fault.” But they damn well are our responsibility. When these oppressive actions are taken against mostly poor and minority people in our society, and we do nothing to stop them, we are condoning this action. We are giving comfort to those who use their power to decimate entire communities of people by imprisoning their mothers and fathers and making them live in constant fear. This is basic “how to destroy a village” stuff. Yet because it is playing out in slow motion, building up decade after decade, we have been lulled into sitting idly by and watching this happen. We have all been duped into believing that we are surrounded by criminals, and that people who deal or do drugs deserve what they have coming. But it is a trap. The same authorities that want to drag these low level offenders off to jail for decades at a time to perform sweat shop labor, are the same ones who failed to stop the drugs from hitting the streets in the first place. They are also the ones who have allowed income inequality to fester to the point where desperation sets in, and selling drugs becomes the only option for a lot of poor folks. And here is the kicker….it is your responsibility to put an end to this. No one is going to do it for us. The big business and law enforcement/prison lobbies that have created the trap are not going to stop unless we, as a society, demand an end to the oppression. Do not expect that others will do this for us, or that an end will come without a demanding show of force. We have got to take this message to every part of the land and make people who support prohibition ashamed of their position and actions. We must begin to call these folks out for being involved with evil and corruption. There is no “just doing my job” excuse that is worth participating in a “holocaust in slow motion.” These folks are war criminals, whether they know it or not. If you make your living destroying other people’s lives because of petty drug charges, then you are evil. There is no middle ground there. You wanna stop being looked at as an evil person? Then stop participating in evil. It is really that simple. But too often we are placated with glossed over realities and fancy shiny toys to the point we just are no longer paying attention. We have chosen to turn a blind eye and forfeit our responsibility. I am not sure if folks think that the world will work itself out, but I can assure you that it will not until we can step up and begin to take responsibility for it. This is not the next person’s responsibility. It is ours; and we must do a better job of ensuring that we are not abusing powers and creating blind fear to support evil. It is our duty to stand up and say enough. The time is now and the wind is at our back People are listening to the drug war dialogue more than ever, and it is high time real people began to have an open and honest conversation about why we allow this tragedy to continue in our name. It is no longer okay to assume that things will get better. That has just not proven to be true. Do your part to find a solution. Take personal responsibility for the world we live in. Let the burden of the evils of our society sit in your stomach like a rock and keep you up at night. Then do something to change it.